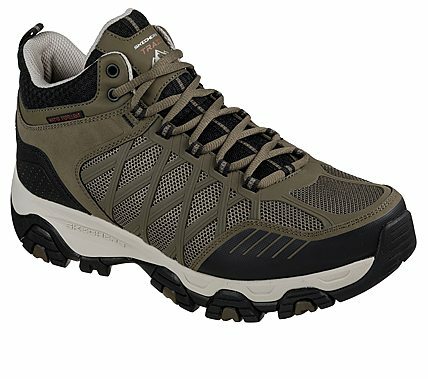 Start your own paths in off-road sporty style and trail-walking comfort with the SKECHERS Terrabite - Turbary shoe. Smooth action leather, synthetic and mesh fabric upper in a lace up athletic sporty comfort trail walking and hiking high top sneaker with stitching and overlay accents. Air Cooled Memory Foam insole, comfort all terrain outsole.